I have seen hell nearly five kilometers above the sea level. 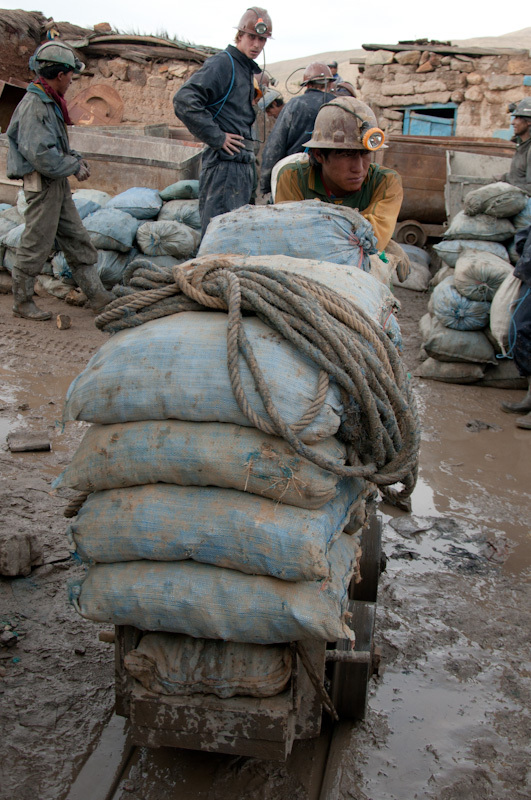 Working conditions and safety of Bolivian miners in Cerro de Potosí make it one of those places on our planet where loss of health is a direct consequence of commencing work. This is not an air-conditioned room, but 40 degrees hot, stuffy and cramped narrow corridors filled with poisonous gases and dust. Being here involves constant exposure to risk of fainting and contracting chronic lungs diseases. 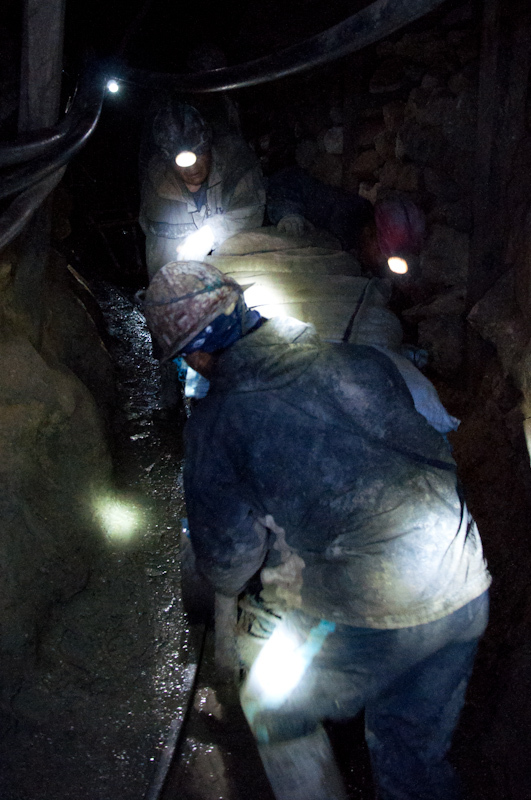 The miners of Potosi, however, do not complain about their fate. They rather follow their routines respectfully and do not wonder if they are going to heaven once they die, because they’ve already got to know hell alive. 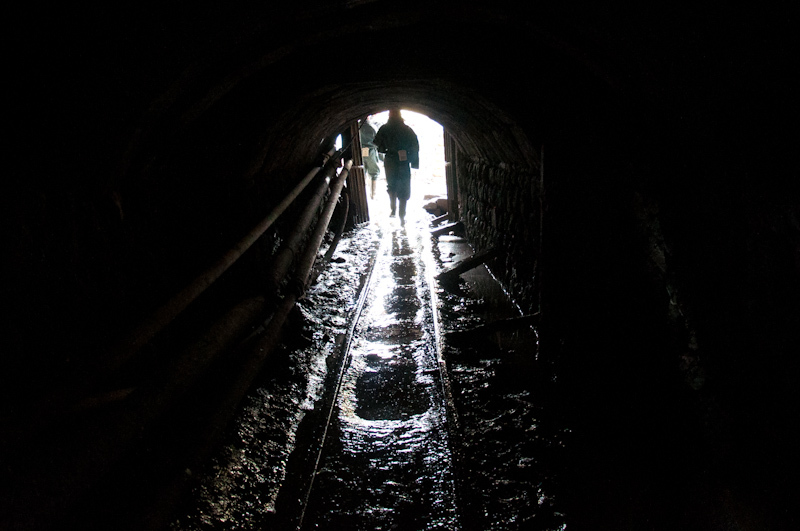 I take a guided tour of Cerro de Potosí with a local guy, a former miner. On the way we stop to shop for dynamite and some other necessary accessories for miners. 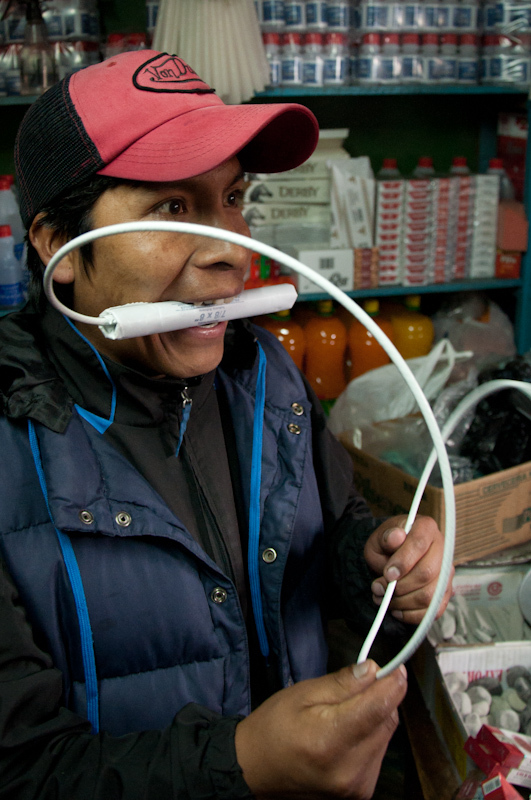 We also get a few small gifts, including coca leaves, water and juices. 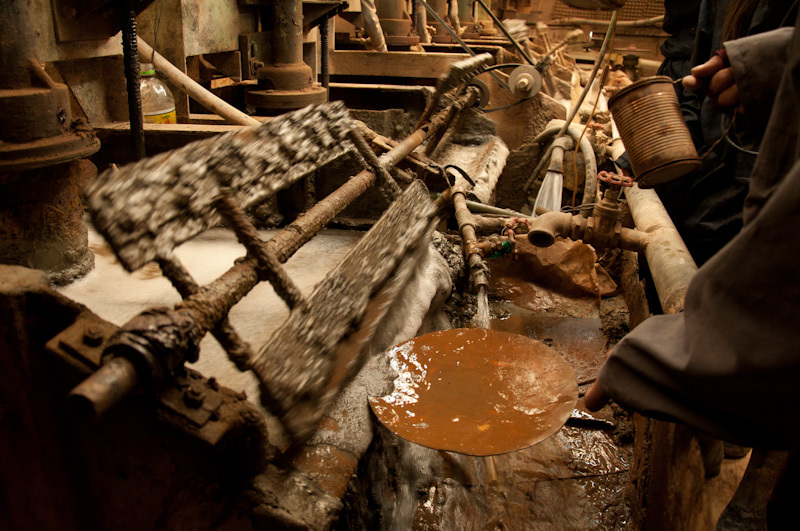 Firstly, we stop by a factory filled with industrial machinery for the extraction of ore and obtaining pure metals. It’s a laborious process, but even in this quite simple conditions, it is subject to significant automation. At the entrance to the mine the guide warns us that miners do not use polite phrases such as “buenos dias”, “gracias” or “por favor”. 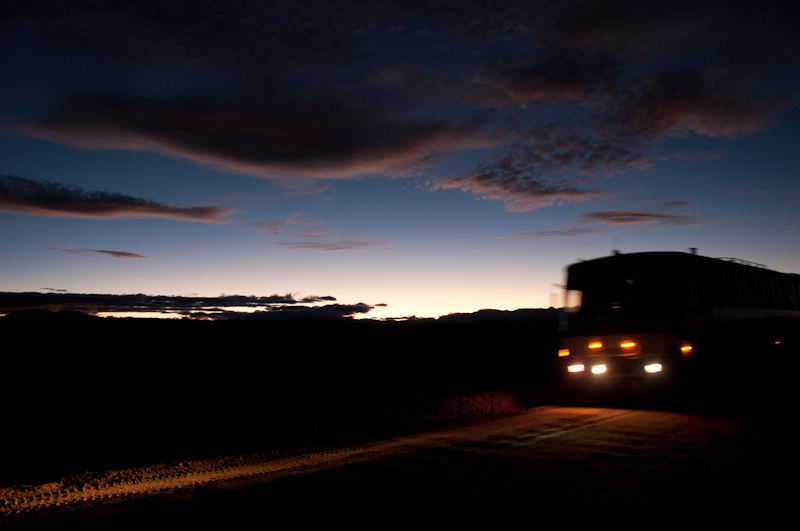 They are more common to use the same kind of vocabulary as truck drivers and construction workers. 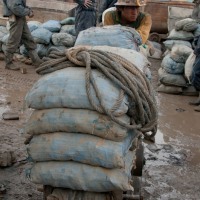 I realize it is true when I meet the first miners who push cart filled with ore bags along narrow tunnel. 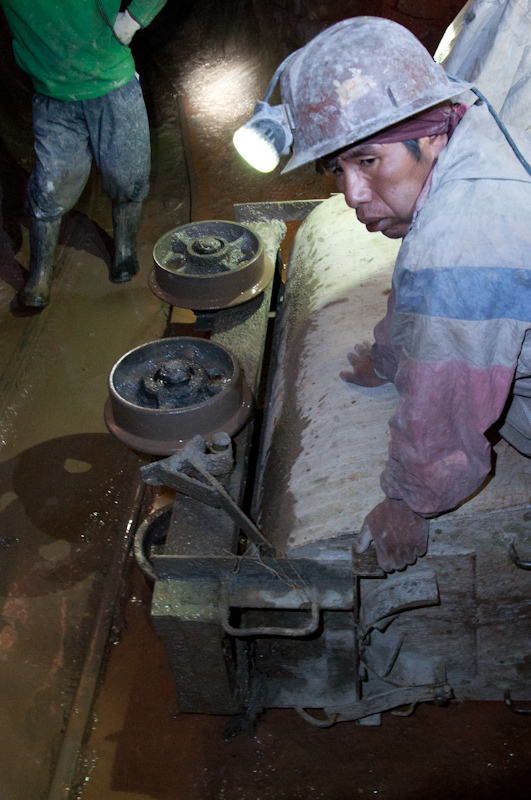 Each of the miners is looking for his good fortune in the mine. He hopes it comes in form of pure gold and silver. 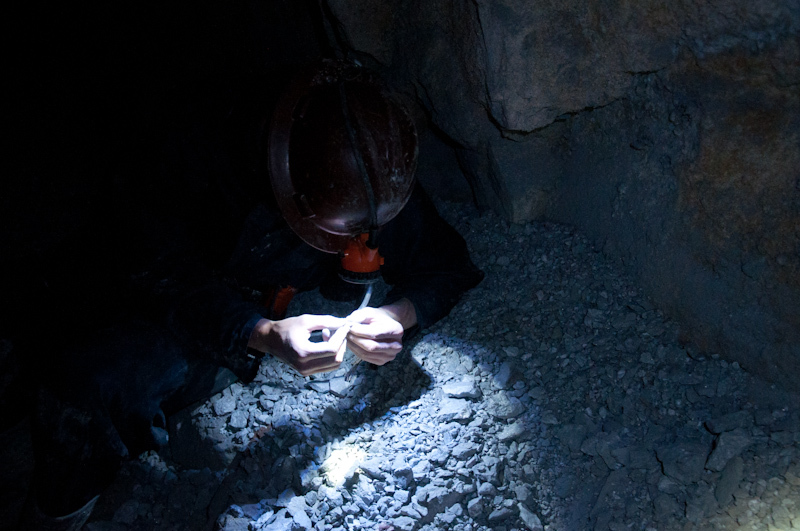 The emphasis on finding good quality minerals also gained itself some legends and became part of local beliefs. In turn, the last and first Friday each month miners meet by the statuette of El Tio (worth to mention, a very ugly statue), the god of mines. 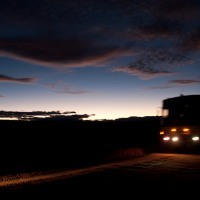 They would present him with cigarettes, coca leaves and pure alcohol (97%). 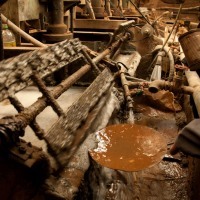 We also drink it on our tour, because according to the belief the kind of alcohol you drink will determine the kind of metal you are going to find. If you don’t drink pure alcohol, do not expect to come upon pure gold. I barely take a modest sip down my throat to ease off about being done with it, when the guide says “Miners never drink only once. So let’s help their fortune and drink up once again for their good fortune”. My throat is burning in the flames, again! 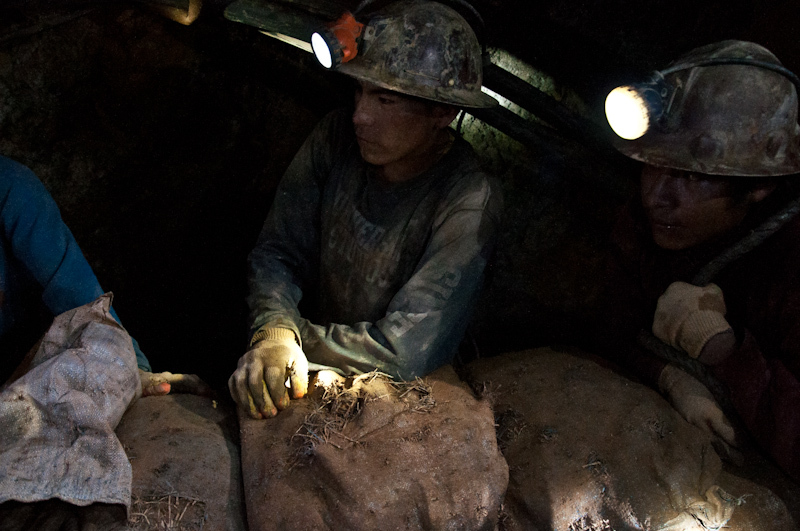 Another interesting belief is that women can not be allowed to work in mines, because “pachamama” (Mother Nature) would be jealous and would not give miners access to the richest deposits. Freshly baked miner, often as young as 14- or 15-year-old boy starts out working as helper for the first year. In exchange for his work he receives some salary and has to return all his findings to his master. The second year he keeps 50% of the mined materials and profit from that half stays in his pocket. 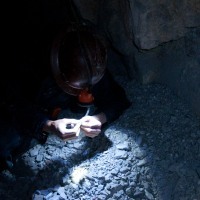 The third year, as a rule, an already experienced miner makes few investments to acquire necessary equipment. At this time his master keeps only 15% and the rest makes up miner’s profit. 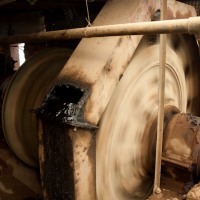 Miners having four or more years of experience usually work independently. The average earnings top 3,000 Bs, or 350 euros. The question is whether that monthly payment for twelve hours of hard work in difficult, perhaps deadly conditions is reverent and fair enough. Potosi is one of the highest cities in the world (the average height of 4090 m) and the mine Cerro de Potosí is located at 4824 m. Sometimes the mountain is referred to as Cerro Rico (“rich mountain”), in the past it used to be described as a mountain made of silver ore. Historically, the mined silver was transported by llamas and mules to the port, whereupon Spanish fleet transported it to Europe. Founded in 1546 Potosi, originally as a mining settlement, quickly became one of the richest and most prosperous cities in the world at that time. Notably, also one of the largest with population exceeding 200,000 inhabitants. 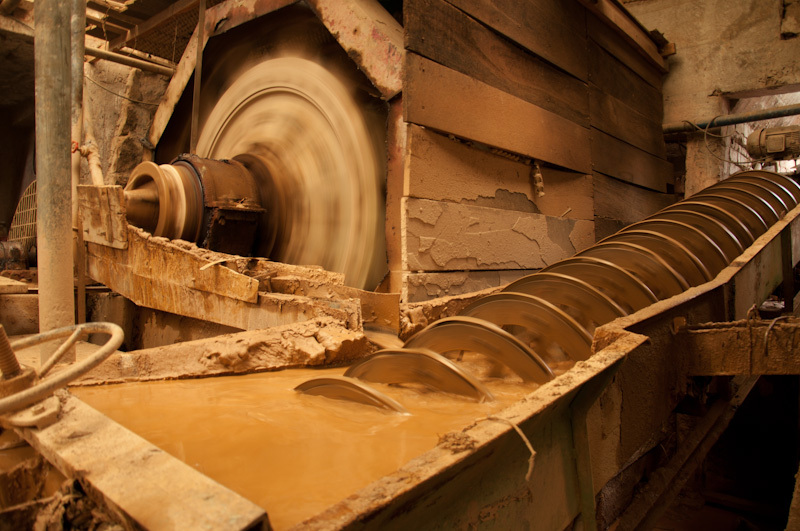 According to official data, up to date around 41.000 tons of pure silver have been mined in Cerro Rico. Spaniards introduced the mita term. Major part of workforce were Indians, the indigenous people of this region. The mita was the duty of every Indian village to provide hands to work in the mines and large farms for a period of one year. On average, it was every thirteenth healthy adult male. 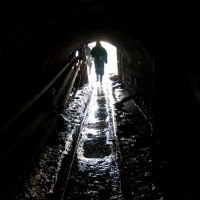 The compulsory workers, or slaves, were forced to do the most difficult job: transportation of ore from the mine to the mine’s exit. 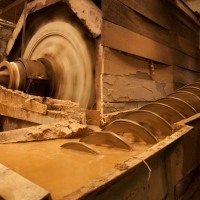 Millions of lives have been lost as a result of physical exhaustion, harmful gases and poisoning with mercury, which had been used to extract metal from ore. However, it was not enough for Spanish oppressor. To compensate the dying labor, Spain issued a decree to bring several thousands of African slaves. The work which had been previously done by mules that died within a few months of drudgery, was being replaced by African slaves, twenty of whom were used to cover up for five mules. Sometimes the Africans worked non-stop more than 48 hours and even committed suicides so that their children do not have to share the same fate. Hundreds of years later, meaning nowadays, literally today, a very little has changed. 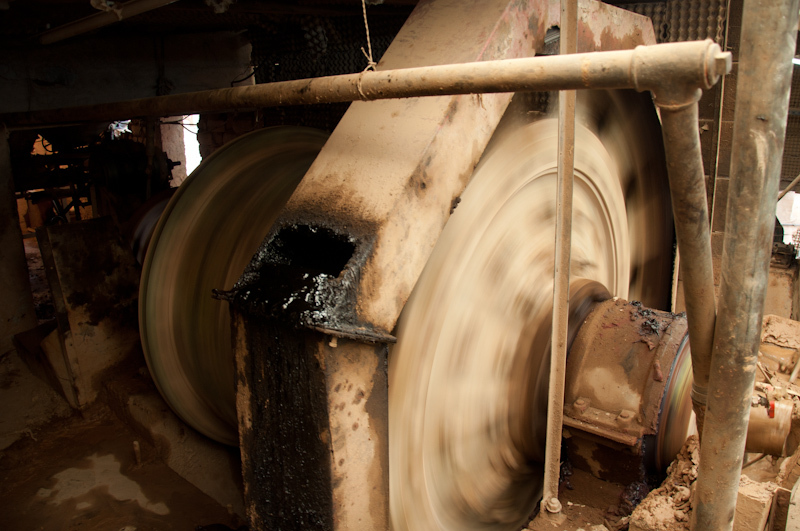 Most of the work is still done by hands, the miners are constantly exposed to harmful gases and dust, a lot of them die after a few years suffering to silicosis. Today there is a young girl from Argentina who weakened and nearly fainted only after twenty minutes of walking inside the mines. Passing through the narrow galleries I repeatedly cough on heavy air. I can not imagine being in here – every day – for several hours, doing this damn hard work. 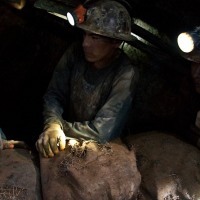 Some sources say that a Bolivian miner’s life expectancy is 40 years. 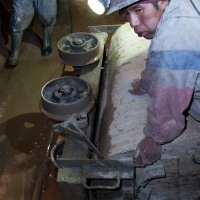 Every year around 30 persons die in the mines of Potosi due to the explosions, landslides or poisoning. There is a continuous risk of unprotected walls collapsing. The height of 4800 meters implies limited oxygen and enhances influence of harmful dust and toxic gases. This is not the Middle Ages, but the twenty-first century. That is exactly how the beginning of a career for a 14-year-old boy might look like. Maybe we should consider remembering the poor European guy who complains about his job. Is it really that bad? He might want to take off his fashionable shirt and work one hour in Cerro de Potosí to appreciate the broken coffee maker and sometimes boring days staring at charts and digits.